You have to make a commitment. Commitment means to do the thing you said you would do after the feeling you had when you said it has passed. You have to be committed to the process. You don’t have to love the work, but you must fall in love with the outcome. I had the pleasure of interviewing Dr. James Dentley. Dr. James Dentley is an entrepreneur, best-selling author of The 5 Frequencies of High performance, philanthropist and one of the nation’s top Life and Business Strategist. As one of the world’s most renowned motivational speakers, James Dentley is a dynamic personality and highly sought after resource in business and professional circles for Fortune 500 CEOs, small business owners, non-profit and community leaders from all sectors of society looking to expand opportunity. He is also an annual 7 figure earner in the MLM industry and has trained over 80 people to earn over one million dollars. James Dentley hosts and speaks at events all over the world! 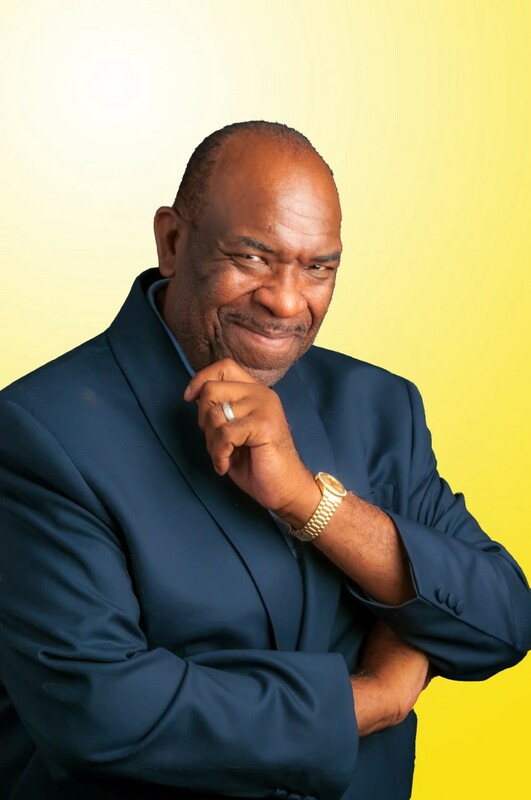 He created the #1 speakers and communication program ‘Inspired2Speak: Action Camp. Created in 2008 this program has helped aspiring and established speakers to create a global impact and create the success they desire!’ His passion is to empower entrepreneurs and business owners to create massive success and to achieve their dreams. James passion for coaching and mentoring speakers has transformed “good speakers to great speakers and great speakers to legendary. speakers and communicators.’ He has spent over two decades working with start-ups to major global brands to help them increase sales, productivity, and overall success. He is an innovator with a remarkable ability to determine and build success plans to help business owners seize immediate market opportunities. For everyone that owns a business or would like to capitalize their entrepreneurial dream, his message will enlighten them with knowledge and action principles to turn that passion into success! In his mission to continually impact the lives of millions, Dentley has made headlines by partnering and lending his voice to disruptive companies in the financial services arena. Addressing audiences from North, South, and Latin America, Asia-Pacific, London, Thailand, Germany, Dubai,and the Caribbean. James Dentley is invited back again and again for his powerful message and the ability to connect deeply with people from all walks of life. It isn’t just his great smile, humble nature, and his way with words that motivates people to take action like never before; when people face roadblocks or adversity, it is the depth of his knowledge on achievement that creates lasting results. James Dentley is a gentle giant that teaches straight-from-the-heart, passion and high-energy, concepts that bring measurable positive results. He produces his own streaming TV network, radio talk show, podcast, and sponsors high level events such as Limitless for women “where everything is possible and Inspire! a business acceleration 3 day event where you are addressed by millionaires and billionaires who are committed to creating success and giving back! 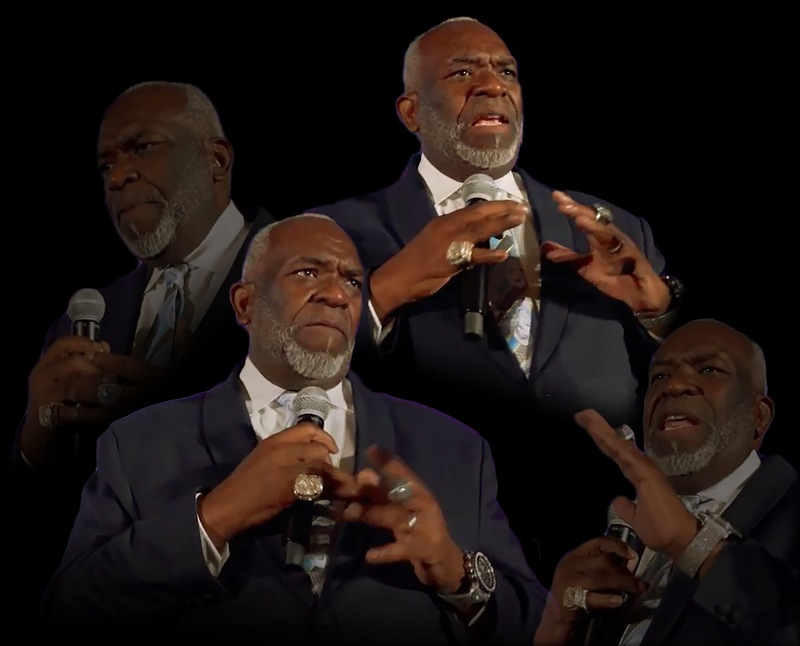 He also is an owner of the new NBA roster filled Prime Time Basketball league and conducts a high level mastermind experience focused on helping it’s member thrive. His organization Already Always Amazing run by James and his wife Dr. Kara Scott Dentley who is a powerhouse herself, commit their efforts to empowering women, and bringing services and opportunities to children, veterans and seniors. He has received over 100 awards from leadership, top producer, entrepreneur of the year to the covenant, Legacy award he received from the City Gala, along side of Frank Shankwitz, the founder of The Make A Wish Foundation, Jack Canfield, author of Chicken Soup for the Soul, and actors Matthew McConaughey and Ashton Kutcher. I’ve always been an entrepreneur, beginning at the age of eight years old, selling kool-aid popsicles. At 18 years of age I was promoted to the general managers position in the restaurant industry. I realized that I had the ability to teach, train and duplicate myself. I hired 14 of my classmates from high school, who later became managers. I was the youngest manager in that company, and the youngest regional manager in the company, When I made the leap to start my own businesses, I found that I needed more information; I would make mistakes due to a lack of information, mentorship. I realized that I must study and become better to be effective in business. So I began to read books and study successful people. In 1994, I got involved in network marketing and started my first home-based business, which became extremely successful. I developed my leadership skills, communication skills, there and had a gift for training. And, I loved to inspire others to do the same. Wow! I always say that my scars have scars., and they are beautiful scars. So many stories…however, I remember being involved in a home-based business and then, two months later, I lost my home. I was living in a car — no phone — no resources. I was living in Atlanta, Georgia, and I knew no one there, because I was from Chicago, Illinois. But, someone planted a vision inside of me and because he shared his story with me. He shared his story of being homeless at the age of 24 — and a millionaire at the age of 28. His story opened a new possibility for me. I began to read books and found that people who were successful, also had many obstacles and challenges. They all at some point faced and overcame those challenges and that was a factor in helping them achieve success. That’s why I say my scars, are beautiful scars. I grew from homelessness to living a dream life and building a business that would allow me to earn millions of dollars and inspire 80 other people to do the same. I never focus on a problem, I focus on the solution. I believe when things go wrong, you don’t go wrong with them. There is usually always a solution. From the stories of others. That’s why I believe everyone has a story to share. We’re built upon our stories — what I call the breadcrumbs of life. You see, you live life forward, but you understand it backwards. I learned from journeys of others. When things got tough, I didn’t quit. I had vision, and I got mentorship. I began to study the people who were successful and to copy and emulate their habits, their rituals, and their mindset. Over time, it turned around for me. I believe that where the dry desert ends, the green grass grows. Just don’t quit. Grow! Today, my life is so incredible blessed! My wife and I wake up on path and purpose every single day. We have built several 7-figure businesses, but, more importantly, we’re helping other people to do the same — to live their dreams, to find their purpose, to find the space that’s meant for them — and only them — and to share their story — to understand that their story and their journey can be so helpful and such a blessing to other people who will follow. I just launched a new magazine, a radio and podcast show and we are 30 days away from launching our inspirational streaming TV network. We are focusing on our media company, our sports division, our success education company, health and wellness and our non-profit organization. Already- Always _ Amazing! Well, the first story I will tell you is you have to have a vision that inspires you to keep moving forward. I remember when I was homeless, I had to rent a car to go to Alabama to do a presentation, but I didn’t have enough money for the car. I went to borrow $25 from the gentleman who was my mentor. He saw the look on my face and could sense that something was wrong — that I was operating on a low frequency. He said James, don’t sweat the small stuff. If you have a big picture, then it’s all small stuff. You have to have a vision. There was a story of a little boy who was drawing a picture in his third-grade art class. His teacher peered over his shoulder and asked, Johnny what are you drawing? Johnny replied; I am drawing a picture of God! The teacher smiled and said, Johnny, no one knows what God looks like. Johnny looked at his teacher and said; They will in a minute! That’s vision! How do you develop grit? You have to place yourself in a winning environment. Who are you spending time with? What are you feeding your mind? What frequency are you operating on? Belief and doubt doesn’t exist in the same spot. Don’t procrastinate — start right now. Take the word NOW and turn it around and it reads WON. Heed the story of the man, who would figure and plan, of all the things he intended to do. But when the time came, for him to get in the game, he never followed anything through. Oh, he’d dream with a smile of the after-a-while of all the things he would do pretty soon. The was alright at heart but he never would start, he could never quite get into tune. Yet if he had done all the things he begun, he’d be lifted amongst those of fame. But, he wouldn’t produce so he was of no use, good intentions will not win the game. It is easy to dream, to plan and to scheme, and let those dreams drop out of sight. But, only the ones who put through, what those dreams bring to view, will be the ones who will win the fight! Act now — if you wait until you’re ready, you’re already too late! Become a student of those who have toiled and won. I cannot name one person. There was my mom who had a sign on the refrigerator that said “Think”, to my sisters who taught me love and commitment. My friends Ryan Long, Les Brown, and Bill Walsh, and of course my wife Kara. These are my heroes that have believed in me, and held a shining example of how to continue to strive to be better, live better, serve better and love better. Our Inspired 2 Speak programs has helped people to build their own speaking business, or excel in their profession. Get crystal clear of what you want your outcomes to be, communicate them clearly and consistently. Your business is value driven, good or bad! Raise your standards and enroll your people in a higher vision of your mission. Find ways to let them share in the company’s mission, victory, and recognition is key! Help them thrive not because of the job but because of who they are. Have fun! Enjoy the process. People who operate on a high level of frequency consistently are relaxed. Create a movement that makes the world better because you showed up. The movement will be called One body many members! Everyone you meet is important; they can be a great example, or a terrible reminder! Two men trapped behind prison bars, one man saw the mud. The other man saw the stars!